I’m obsessed with pelicans. 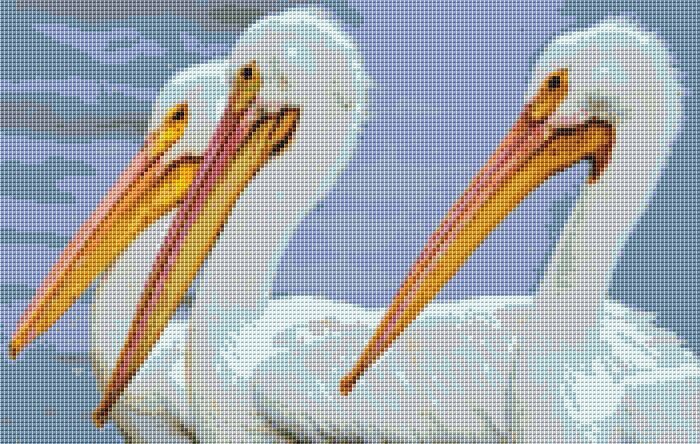 This chart is 175×111 stitches and 83 colors. It will be so fun to stitch.